Pre-assembled and ready to fly. Ideal for a wide variety of agricultural applications. 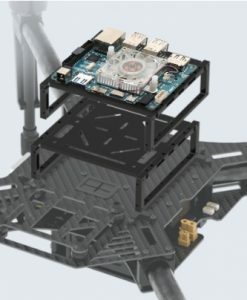 For all its impressive hardware accomplishments, DJI has never shown much interest in creating industry-specific software for their professional rigs. Instead, they’ve partnered with third party companies to customers with the additional functionality needed in their particular application. The Smarter Farming Package is one such partnership. For the Smarter Farming Package, DJI is working with Precision Hawk, a trusted aerial mapping and analytics company, to provide an all-round package that helps farmers work smarter and boost their crop yield. This package provides farmers with everything they need to monitor their crops, plan their farming strategies and keep an eye out for issues. 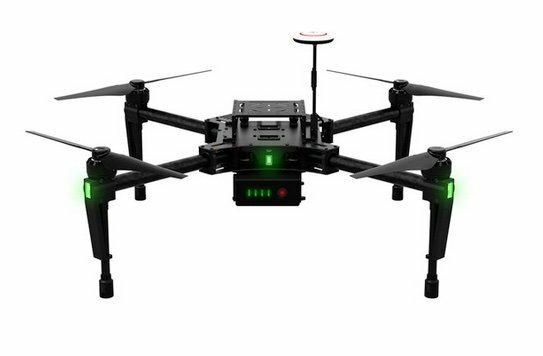 To do this, DJI combines their high-performance Matrice 100 quadcopter with three professional survey and mapping software programs from Precision Hawk. The total package gives farmers a smart and efficient way to manage their farms both on-ground and in the office, for not a lot of dough. The centerpiece of the Smarter Farming Package is the Matrice 100, DJI’s highly customizable moderate-payload professional flying platform that is quickly making its mark as one of the most capable agricultural drones. The best feature of the Matrice 100 is its customizable nature, which makes it easy for PrecisionHawk to configure it for a wide range of agricultural applications from crop analysis to weed detection to drainage mapping. The Matrice 100 consists of strong but lightweight carbon fiber. 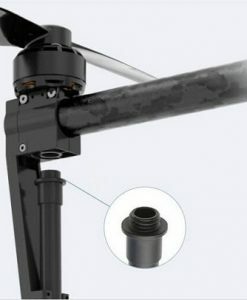 It makes the drone stiffer without weighing it down. The added stiffness helps reduce vibrations that could affect your analysis and damage sensitive components. The arms are also outfitted with a special vibration-absorbing material to protect your on-board sensors and equipment from strong motor vibrations. 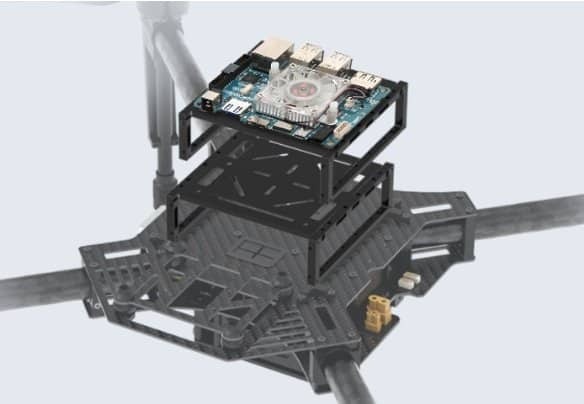 To give the drone a soft landing, DJI added landing ‘feet’ on each arm. These pads protect onboard equipmentduring landing. 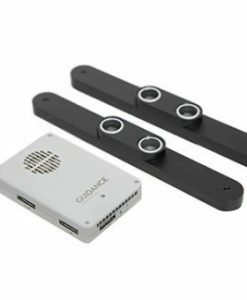 The Matrice 100 is designed for developers who want more out of the drone. 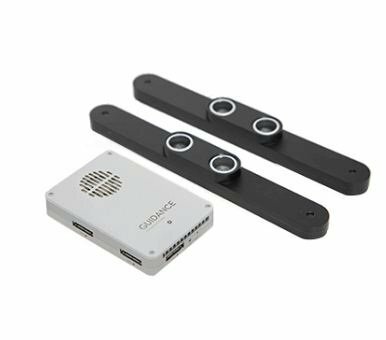 The onboard SDK kit can be used to create customized programs and functionality. Some of the development platforms available include Linux, ROS and QT. 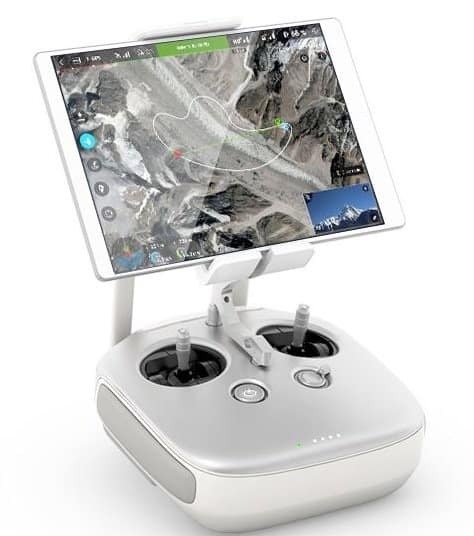 DJI has a full API reference developers can use to add functions like advanced flight control, pre-defined flying missions and advanced camera and gimbal control. 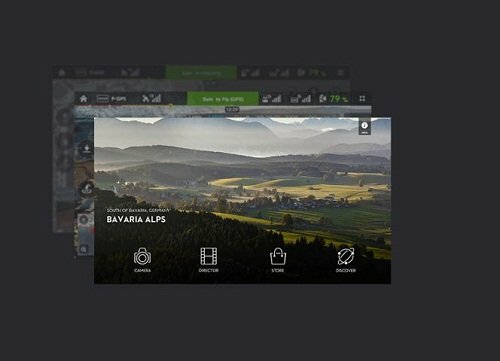 The customizability does not end with software. 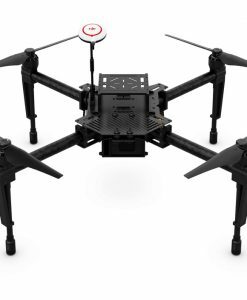 The Matrice 100’s high payload capacity gives you freedom to add your own sensors and equipment onto the drone. The recommended takeoff weight is 3600g. Taking away the weight of the drone, camera and batteries, you are left with roughly 1000g of your own equipment to add. The Matrice 100 comes with an expansion bay which you use to mount additional equipment. You can use more than one expansion bay depending on your payload needs as long as you don’t exceed the max takeoff weight. 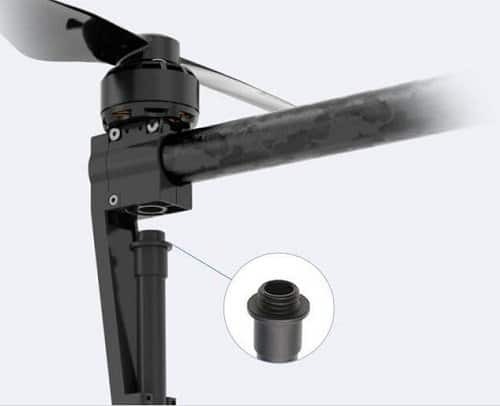 If you are adding your own power or communication devices, use the universal power and communication ports on the drone. 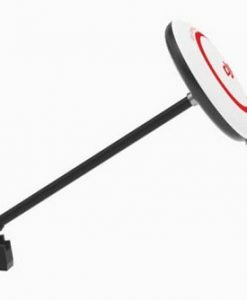 They are compatible with numerous third party devices including those used for real time data transmission. 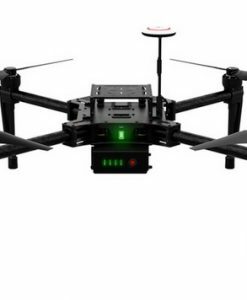 As I mentioned, this is one of the most versatile and customizable professional drones you can buy in regards toboth hardware and software applications. 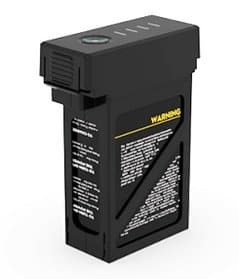 The Matrice 100 batteries pack enough juice to provide a 35 minute flight session (with two batteries inserted). Note that this figure is calculated when the drone has no payload. Extra on-board equipment will lower the flight time. 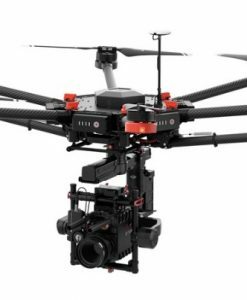 DJI estimates that a single flight with dual batteries should cover 200 acres from a constant height of 400ft. 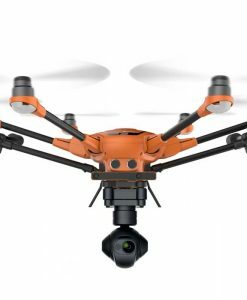 When you order the Smarter Farming Package, DJi will send several batteries along with the drone. So you can just swap batteries for extended flight time. The dedicated remote controller has a 3.1 mile (5km) range. 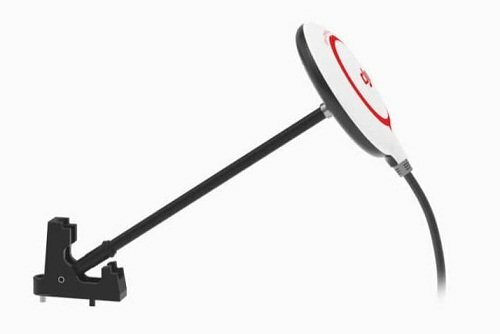 Within this range it receives commands quickly and transmits live HD viewing via the integrated DJI Lightbridge. 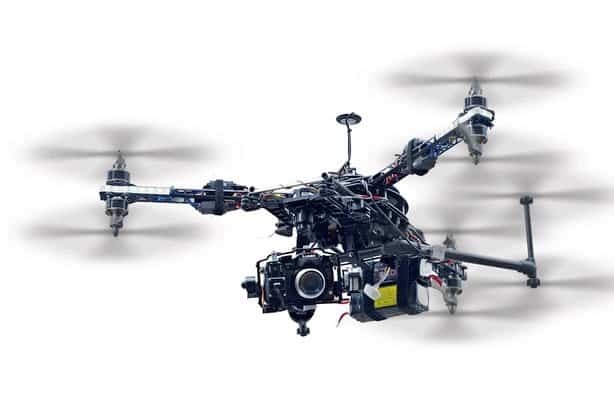 A GPS module makes the drone easier to control and track in real time. You can also use it for flight planning and analysis. The Smarter Farming Package comes with two types of sensors. Used for 3D mapping, crop counting, plant height and biomass measurements and density measurements. Good for weed and pest monitoring, weather damage assessment and detection of any anomalies. You get 1 year subscription to Data Mapper Standard. This program helps with all sorts of analysis. It consists of 2D and 3D map processing capabilities, 11 on-demand tools for crop analytics and 150GB of cloud storage. It also includes collaboration and data sharing features. 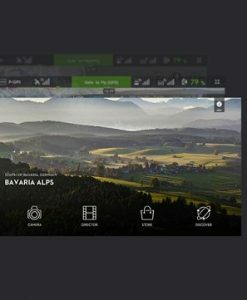 This is a desktop application that lets you view and analyze captured data right there in the field. You can see the flight path taken and add ground control points and flight logs. The Data Mapper Inflight mobile app (now called PrecisionFlight for DJI)turns the DJI Matrice 100 into a remote sensing tool. It allows you to quickly create a flight plan for the drone from your phone. 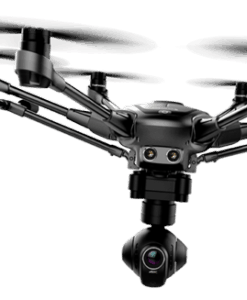 The drone will automatically capture aerial images within your area of interest. You can then analyze the images using specialized algorithms. You can also use the app to monitor the drone’s health and to perform emergency actions such as landing or Return To Home. The app is available for Android. An iOS version will be available soon. Complete solution for agricultural mapping and analysis. 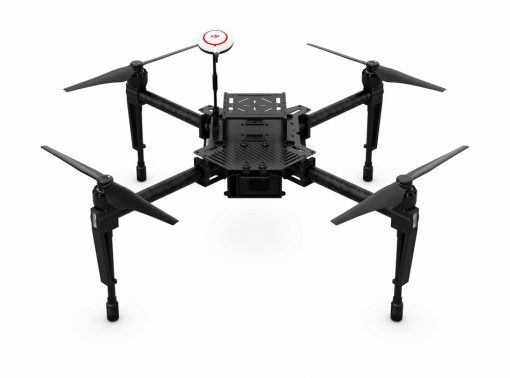 Powerful and high-performance drone with large payload capacity, long transmission range and extended flight times.